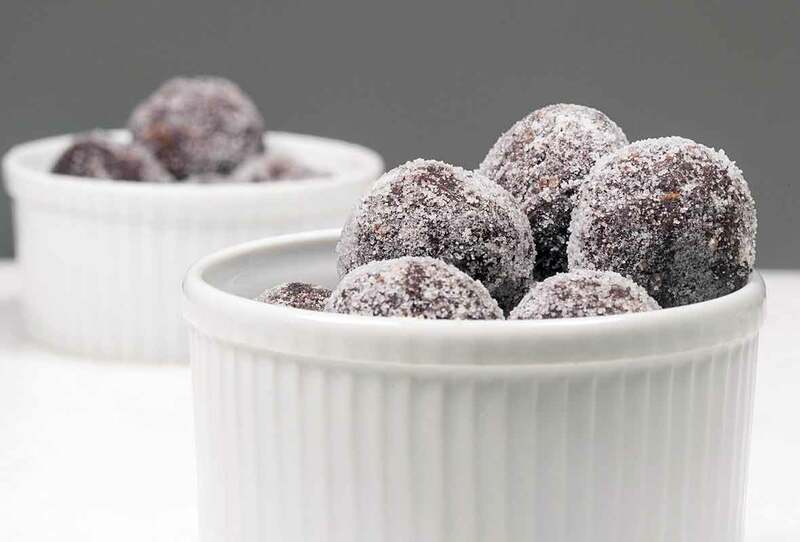 These bourbon balls from Rose Levy Beranbaum, made with chocolate wafers, cocoa powder, pecans, and bourbon, are rich, chocolatey, boozy goodness in a small enticing package. Easy to make and gift. Even easier to eat. 1. If using the food processor method, add some of the wafers to the processor, working in several batches, and pulverize each batch into fine crumbs. Empty them into a large bowl. Process the pecans with the confectioners’ sugar and cocoa until finely ground. Divvy the butter into 3 pieces and add it to the nut mixture along with the corn syrup. Process until combined. Add this mixture to the cookie crumbs in the bowl and, using your fingertips or a wooden spoon, mix until evenly incorporated. 2. Add 1 1/2 tablespoons bourbon to the mixture. With a wooden spoon, stir the mixture until it is uniform in consistency and begins to clean the bowl. If the mixture seems a little crumbly or too dry to hold together, add a little more of the remaining bourbon, a teaspoon at a time. Let the mixture rest at room temperature for 30 minutes to absorb evenly. Add more bourbon if needed (or desired!). 3. Scoop out level tablespoons (3/4 oz | 20 g each) of the bourbon ball mixture and gently roll and press it between the palms of your hands to shape it into balls (about 1 1/4 inches| 3 cm). 4. Place the granulated sugar in a small bowl. Add 1 ball at a time and roll it around for a while in the sugar until completely coated. We find the coating to be most attractive when dipped 3 times. If the sugar starts to disappear, roll them around in the sugar some more. Place the balls in an airtight container lined with paper towels or crumpled parchment paper. Cover and let rest at room temperature for at least a few days to allow the flavors to meld. You can keep them for up to 6 weeks. Simply substitute Grand Marnier for the bourbon. You can skip the bourbon in this namesake recipe and simply substitute 2 tablespoons water and 1 1/2 teaspoons vanilla extract. These worked out perfectly for me. When I tried them immediately, I only tasted bourbon and sugar and not chocolate or pecans, so I wasn't sure why I would eat these instead of just drinking the bourbon. After a few days of letting them sit, however, my mind was changed completely. They're delicious! It’s two weeks before Christmas and my house is torn apart due to a burst pipe in the crawlspace. I want a bourbon ball. I DESERVE a bourbon ball. If I had any complaints about this recipe it was that the chocolate flavor was just a little too strong. Not so strong that I would reject it, but another attempt might require slightly less cocoa. I added an extra teaspoon of bourbon from the original 1 1/2 tablespoons. This recipe was easy fun. The result was a great-tasting and interesting one- or two-bite chocolate morsel. As per the suggestion, I made it my own by using Grand Marnier. It really turned out great! 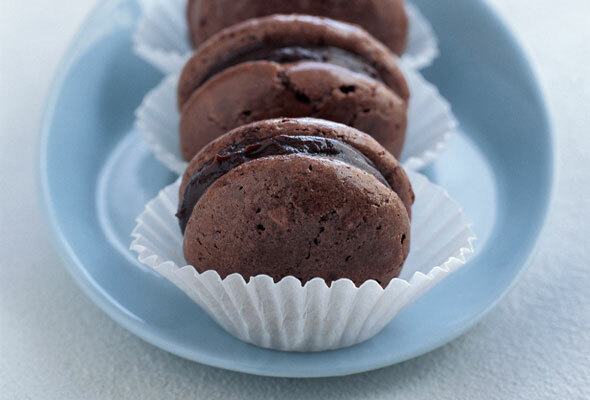 The Orange flavor was a great complement to the chocolate flavor. The Pecans added a crunchy element and the unsweetened chocolate powder a nice depth of flavor. 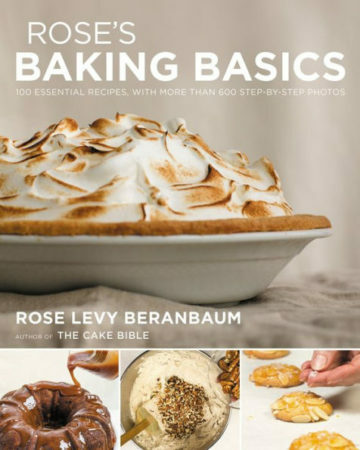 Bourbon Balls Recipe © 2018 Rose Levy Beranbaum. Photo © 2018 Matthew Septimus. All rights reserved. All recipes and photos used with permission of the publisher.